This information was developed by the National Eye Institute to help patients and their families search for general information about cataracts. An eye care professional who has examined the patient’s eyes and is familiar with his or her medical history is the best person to answer specific questions. The lens is a clear part of the eye that helps to focus light, or an image, on the retina. The retina is the light-sensitive tissue at the back of the eye. In a normal eye, light passes through the transparent lens to the retina. Once it reaches the retina, light is changed into nerve signals that are sent to the brain. The lens must be clear for the retina to receive a sharp image. 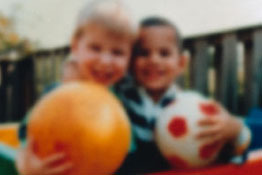 If the lens is cloudy from a cataract, the image you see will be blurred. The lens lies behind the iris and the pupil. It works much like a camera lens. It focuses light onto the retina at the back of the eye, where an image is recorded. The lens also adjusts the eye’s focus, letting us see things clearly both up close and far away. The lens is made of mostly water and protein. The protein is arranged in a precise way that keeps the lens clear and lets light pass through it. Clumps of protein reduce the sharpness of the image reaching the retina.The lens consists mostly of water and protein. When the protein clumps up, it clouds the lens and reduces the light that reaches the retina. The clouding may become severe enough to cause blurred vision. Most age-related cataracts develop from protein clumpings. When a cataract is small, the cloudiness affects only a small part of the lens. You may not notice any changes in your vision. Cataracts tend to “grow” slowly, so vision gets worse gradually. Over time, the cloudy area in the lens may get larger, and the cataract may increase in size. Seeing may become more difficult. Your vision may get duller or blurrier. The clear lens slowly changes to a yellowish/brownish color, adding a brownish tint to vision.As the clear lens slowly colors with age, your vision gradually may acquire a brownish shade. At first, the amount of tinting may be small and may not cause a vision problem. Over time, increased tinting may make it more difficult to read and perform other routine activities. This gradual change in the amount of tinting does not affect the sharpness of the image transmitted to the retina. If you have advanced lens discoloration, you may not be able to identify blues and purples. You may be wearing what you believe to be a pair of black socks, only to find out from friends that you are wearing purple socks. Wearing sunglasses and a hat with a brim to block ultraviolet sunlight may help to delay cataract. If you smoke, stop. Researchers also believe good nutrition can help reduce the risk of age-related cataract. They recommend eating green leafy vegetables, fruit, and other foods with antioxidants. If you are age 60 or older, you should have a comprehensive dilated eye exam at least once every two years. In addition to cataract, your eye care professional can check for signs of age-related macular degeneration, glaucoma, and other vision disorders. Early treatment for many eye diseases may save your sight. These symptoms also can be a sign of other eye problems. If you have any of these symptoms, check with your eye care professional. The symptoms of early cataract may be improved with new eyeglasses, brighter lighting, anti-glare sunglasses, or magnifying lenses. If these measures do not help, surgery is the only effective treatment. Surgery involves removing the cloudy lens and replacing it with an artificial lens. A cataract needs to be removed only when vision loss interferes with your everyday activities, such as driving, reading, or watching TV. You and your eye care professional can make this decision together. Once you understand the benefits and risks of surgery, you can make an informed decision about whether cataract surgery is right for you. In most cases, delaying cataract surgery will not cause long-term damage to your eye or make the surgery more difficult. You do not have to rush into surgery. Sometimes a cataract should be removed even if it does not cause problems with your vision. For example, a cataract should be removed if it prevents examination or treatment of another eye problem, such as age-related macular degeneration or diabetic retinopathy. If your eye care professional finds a cataract, you may not need cataract surgery for several years. In fact, you might never need cataract surgery. By having your vision tested regularly, you and your eye care professional can discuss if and when you might need treatment. If you choose surgery, your eye care professional may refer you to a specialist to remove the cataract. Many people who need cataract surgery also have other eye conditions, such as age-related macular degeneration or glaucoma. If you have other eye conditions in addition to cataract, talk with your doctor. Learn about the risks, benefits, alternatives, and expected results of cataract surgery. Extracapsular surgery. Your doctor makes a longer incision on the side of the cornea and removes the cloudy core of the lens in one piece. The rest of the lens is removed by suction. After the natural lens has been removed, it often is replaced by an artificial lens, called an intraocular lens (IOL). An IOL is a clear, plastic lens that requires no care and becomes a permanent part of your eye. Light is focused clearly by the IOL onto the retina, improving your vision. You will not feel or see the new lens. Some people cannot have an IOL. They may have another eye disease or have problems during surgery. For these patients, a soft contact lens, or glasses that provide high magnification, may be suggested. Cataract surgery slightly increases your risk of retinal detachment. Other eye disorders, such as high myopia (nearsightedness), can further increase your risk of retinal detachment after cataract surgery. One sign of a retinal detachment is a sudden increase in flashes or floaters. Floaters are little “cobwebs” or specks that seem to float about in your field of vision. If you notice a sudden increase in floaters or flashes, see an eye care professional immediately. A retinal detachment is a medical emergency. If necessary, go to an emergency service or hospital. Your eye must be examined by an eye surgeon as soon as possible. A retinal detachment causes no pain. Early treatment for retinal detachment often can prevent permanent loss of vision. The sooner you get treatment, the more likely you will regain good vision. Even if you are treated promptly, some vision may be lost. Talk to your eye care professional about these risks. Make sure cataract surgery is right for you. You may be asked not to eat or drink anything 12 hours before your surgery. The operation usually lasts less than one hour and is almost painless. Many people choose to stay awake during surgery. Others may need to be put to sleep for a short time. If you are awake, you will have an anesthetic to numb the nerves in and around your eye. After the operation, a patch may be placed over your eye. You will rest for a while. Your medical team will watch for any problems, such as bleeding. Most people who have cataract surgery can go home the same day. You will need someone to drive you home. Itching and mild discomfort are normal after cataract surgery. Some fluid discharge is also common. Your eye may be sensitive to light and touch. If you have discomfort, your doctor can suggest treatment. After one or two days, moderate discomfort should disappear. For a few days after surgery, your doctor may ask you to use eyedrops to help healing and decrease the risk of infection. Ask your doctor about how to use your eyedrops, how often to use them, and what effects they can have. You will need to wear an eye shield or eyeglasses to help protect your eye. Avoid rubbing or pressing on your eye. Sometimes the eye tissue that encloses the IOL becomes cloudy and may blur your vision. This condition is called an after-cataract. An after-cataract can develop months or years after cataract surgery. You can return quickly to many everyday activities, but your vision may be blurry. The healing eye needs time to adjust so that it can focus properly with the other eye, especially if the other eye has a cataract. Ask your doctor when you can resume driving. If you received an IOL, you may notice that colors are very bright. The IOL is clear, unlike your natural lens that may have had a yellowish/brownish tint. Within a few months after receiving an IOL, you will become used to improved color vision. Also, when your eye heals, you may need new glasses or contact lenses. What can I do if I already have lost some vision from cataract? If you have lost some sight from cataract or cataract surgery, ask your eye care professional about low vision services and devices that may help you make the most of your remaining vision. Ask for a referral to a specialist in low vision. Many community organizations and agencies offer information about low vision counseling, training, and other special services for people with visual impairments. 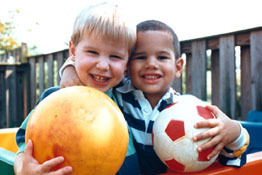 A nearby school of medicine or optometry may provide low vision services. Current Research What research is being done? The National Eye Institute is conducting and supporting a number of studies focusing on factors associated with the development of age-related cataract. The effect of sunlight exposure, which may be associated with an increased risk of cataract. Vitamin supplements, which have shown varying results in delaying the progression of cataract. Genetic studies, which show promise for better understanding cataract development. This online resource guide provides information about cataracts. It answers questions about causes and symptoms, and discusses diagnosis and types of treatment. It was adapted from Don’t Lose Sight of Cataract (NIH Publication No. 94-3463) and Cataract: What You Should Know (NIH Publication No. 03-201).